When searching for competitive auto hauler insurance in the State of Florida it is important to speak with someone experienced in the field. With over 100 years in the commercial auto sector Gould is your go-to for all of your car hauling insurance needs. As an independent car hauling agency we are able to survey the entire market and choose a plan that is customized for you at the most competitive price. Operating as a car hauler whether you operate only in the State of Florida or are a long haul operation presents many perils. The agents at Gould can assist you whether you are looking to get legal with the state or if you are looking to add on additional coverage’s. Some of the additional insurance options that can be added onto your policy include UM Coverage (Uninsured Motorist), Medical Payments, Loading and Unloading Coverage, Cargo Coverage, Earned Freight Coverage and more. 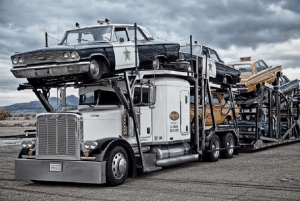 The Car Hauler Agents at Gould can help you to better understand these coverage’s so that you can decide if they are right for you and your car hauling operation.